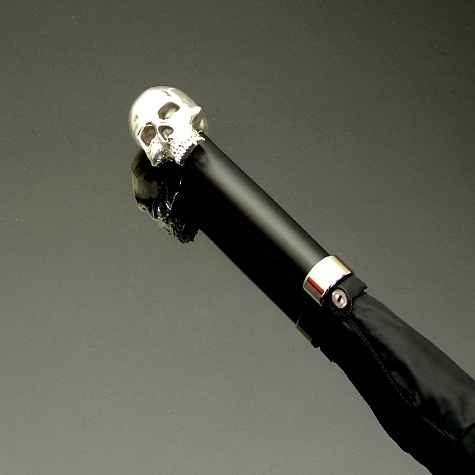 The Byron Vampire Skull umbrella is made on a 25" Fox Steel Tube Frame, with a Nickel Tip Cup and Best Polyester cover and case. 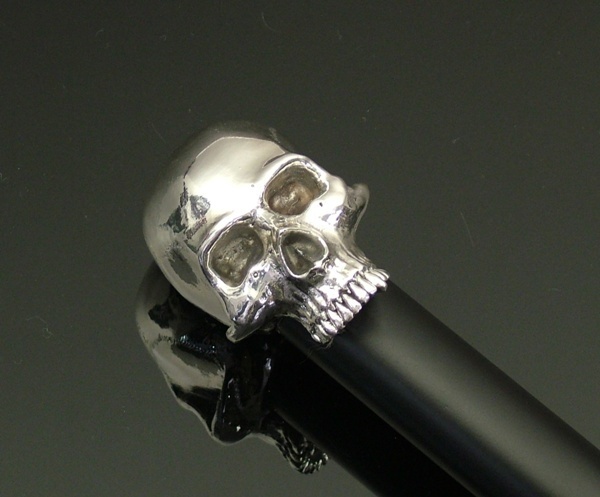 The Vampire Skull handle is made from hallmarked sterling silver. It comes complete with its own outside case available only in black.